'Precision medicine' project to analyze DNA from 1 million in U.S.
U.S. President Barack Obama on Friday called on Congress to approve spending in medical research that tailors treatment to an individual's genes, moving away from one-size-fits-all care. 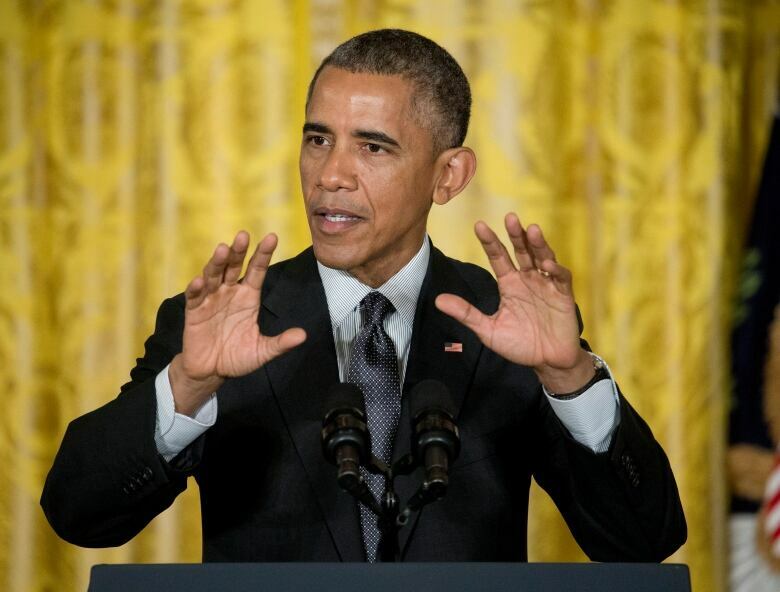 Obama wants $215 million US for what he's calling a precision medicine initiative. The ambitious goal: Scientists will assemble databases of about a million volunteers to study their genetics — and other factors such as their environments and the microbes that live in their bodies — to learn how to individualize care. The initiative is based on the creation of a pool of people — healthy and ill, men and women, old and young — who would be studied to learn how genetic variants affect health and disease. "That's the promise of precision medicine — delivering the right treatment at the right time, every time, to the right person," Obama said in announcing the proposal Friday. For example, it's becoming more common for patients with certain cancers to undergo molecular testing in choosing which drug is their best match. People with a rare form of cystic fibrosis now can choose a costly drug designed specifically to target the genetic defect causing their illness. Some medical centres, such as the Mayo Clinic, have opened "individualized medicine clinics." In the short term, precision medicine holds the most promise for cancer because scientists already know a lot about the molecular signatures of different tumours, Collins said. The initial focus on cancer, Collin said, also reflects the lethality of the disease.